The Titanic was built by Harland-Wolff in Belfast, Northern Ireland. Each ship was larger than its predecessor. . . . . were three sister ships. “Not even God himself could sink this ship” is what was reportedly said by some crew members and repeated by others in different ways. The Titanic had enough lifeboat capacity for 1,178 people — 3,511 people were aboard. The change in the requirement of available lifeboats on board was due to the invention of the Marconi wireless radio, which was believed to be able to shorten the time necessary to effect a rescue by other ships in the area. Sunk to the bottom of the Atlantic on its Maiden Voyage. Approximately 1,522 people died due to the iceberg collision of the Titanic. It was approximately 2:20 am on the morning of April 15, 1912, that the Titanic plunged to the bottom of the Atlantic — around the same time of day that it was discovered. Before that date, no one had seen any wreckage of the Titanic for 73 years. His project / search was financially supported by the Woods Hole Oceanographic Institute. Aboard the U.S. Navy research vessel — Knorr. After months of searching the ocean’s bottom. Relaxing in his room in his flannel pajamas, reading a book. Johnny (the cook) bursts into Ballard’s room and announces that they think they found it!. “Argo” was beaming back pictures of what was identified as a “man-made object” which was stationary on the floor of the ocean. That first object turned out to be a boiler from the engine room of the Titanic. The next objects were copper cooking pots, steel cooking pans, tools, corked wine bottles, fine china, coal and well-preserved articles of clothing. One of the reasons for such preservation of these objects was the depth and the temperature of the water at that depth. 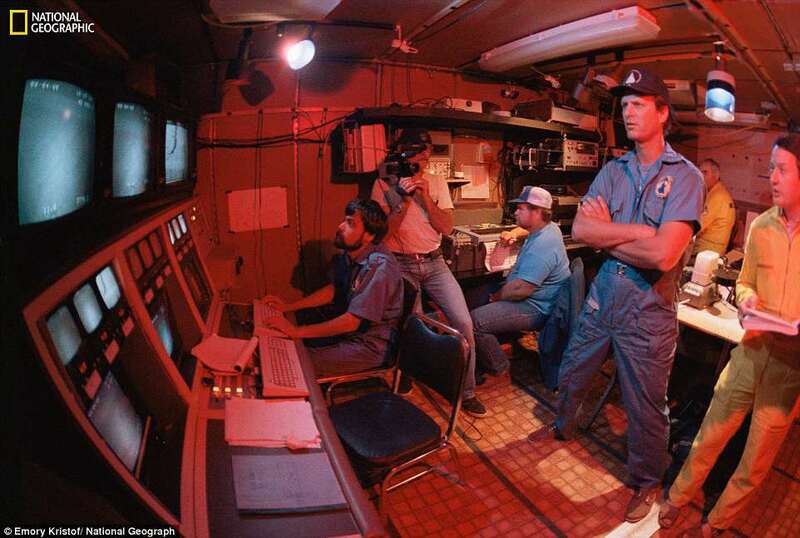 Robert Ballard’s own words about its impact on him. • If you knew what you know right now. “The story of the ‘unsinkable’ Titanic that plunged into the Atlantic in 1912 has fascinated researchers for years, but now new details have emerged about the 1985 discovery of the wreckage. It’s been revealed that the expedition that led to the discovery of the ship was a cover for a top-secret mission to explore two submarines that sank during the Cold War. ← Rhetorical Theory & Homiletics: There’s A Name For That!